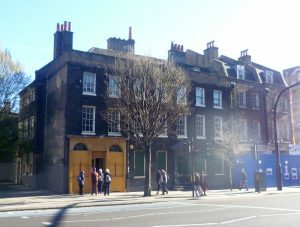 For example, on 2nd April this year, I put up a blog on The Whitechapel Bell Foundry. I was in the last group to visit it before it closed after nearly 450 years. 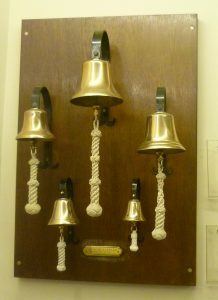 I wanted to do it justice and to get across each stage of the bell-casting process in language which ordinary people could follow. In other words, if there was a word I didn’t understand – and there were quite a few – I had to explain it. And the whole post had to be interesting and readable. Fast forward to 14th July when, out of the blue, I was contacted by Eve Makepeace, editor of The Horological Journal, which is concerned with instruments which measure time. 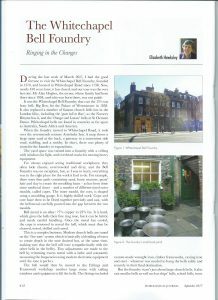 She had been thinking of writing an article for the journal about what the Whitechapel Bell Foundry did and something about Westley Group, the company that had taken it over. I have had articles published before (in The Times Higher Education Supplement and The Islington Archaeology and History Society Journal, for example) but I never expected the journal of the eminent British Horological Institute to be interested in one of my blogs. I had to re-read the email several times before it sank in. Naturally, I said, ‘Yes.’ I rang Eve and we discussed it. In due course, I checked the proofs, and discussed the photos’ titles with Sam Battle, who is responsible for design. 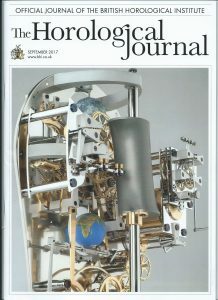 On Saturday, a copy of the September Horological Journal arrived with my article in it. It’s obviously at the softer end, technically, with regard to the other articles, and provides a sort of bonne bouche for the journal but I’m delighted that it has made a second appearance with a completely different readership – and it looks great. Thank you, Jan. It had never occurred to me that a simple blog could have a second life. Though, actually, of course, even a simple blog needs a lot of thought. What a fabulous thing, Elizabeth! Congratulations! Thank you, Elizabeth. I am thrilled to see it in the Journal, surrounded by erudite articles about clock technology and the intricacies of watch mainsprings! It’s a bit like being invited to a posh party and hoping that you you are wearing the right thing. Thank you for your comment, Amanda. Actually, as you know, writing a blog takes time and care. I hope it complements the other articles, which is what I think Eve, the editor, wanted. Well I think its only fitting for your blog to gain the plaudits it deserves. It ranges over such varied subjects that I do hope you will soon be approached by other learned journals on topics as varied as:: the royal palaces, Jane Austen, antique underwear, decluttering, Falco, the vegetation of North London, domestic objects of days gone by, and many, many, more. Congratulations, Elizabeth! Thank you, Prem. One of the nicest things about writing blogs is that I’m now on the Bloggers’ guest list of a number of museums, and Buckingham Palace, which includes the Queen’s Gallery and the Royal Mews. The curators who show us round are always interesting and informative, and the opportunity to look at things closely is something I really appreciate. 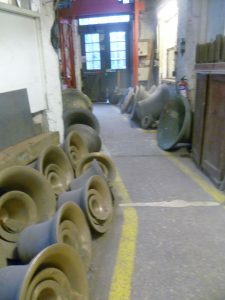 As you know, I too was in that last group that visited the Whitechapel Bell Foundry. It was a bitter-sweet occasion and a fascinating look at an ancient craft and an historic company. I enjoyed your original blog post about it and I am delighted for you that it has been published in the Horological Journal too. Thank you, Pauline. I know exactly what you mean about ‘bitter-sweet’. It was very much the passing of an age, wasn’t it?